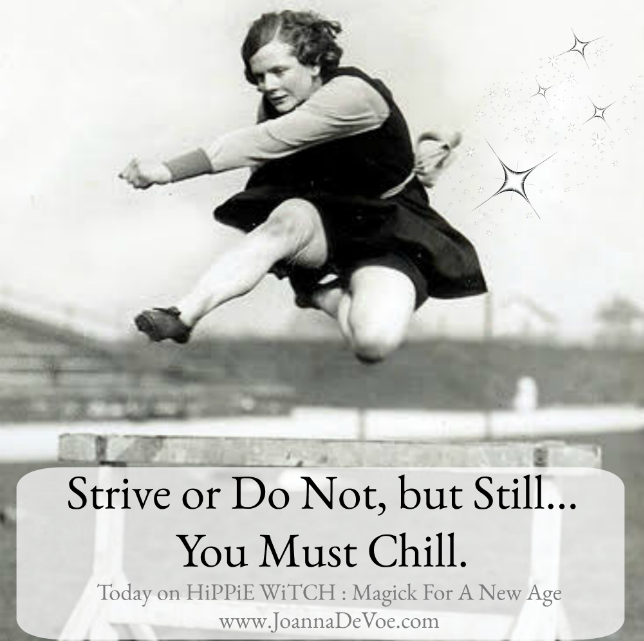 KiCKASS WiTCH : Putting The "K" In Magick: HiPPiE WiTCH #362 : Strive or Do Not, But Still... You Must Chill. HiPPiE WiTCH #362 : Strive or Do Not, But Still... You Must Chill. Can you strive without suffering? Can you BE HERE NOW mindfully & in the spirit of gratitude while still desiring to be some place else all together? That is what we're exploring on today's episode of the podcast, and it's a good one!